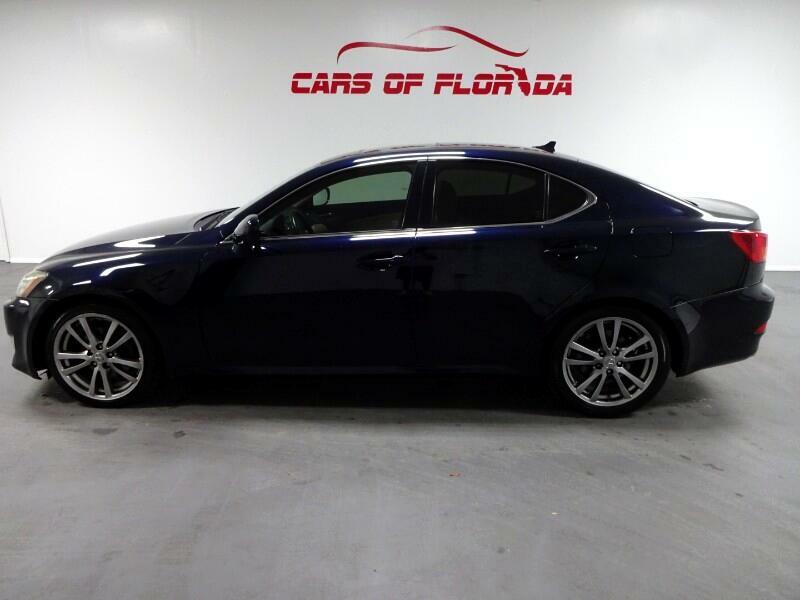 Cars of Florida is proud to announce this beautiful one owner no accidents 2008 Lexus IS250 with 136k miles. This vehicle is exceptionally up kept all around. Drives like brand new! Tons of features and goodies loaded into this stylish sport sedan! Mark Levinson Surround Sound System, Keyless entry and go, Engine Start/Stop, All Books and manuals and much more! Powerful V6 Engine provides great acceleration and stiff sport inspired suspension allows nimble tight turns even at a rapid acceleration. Sliding sunroof with tilt, 160 multi point inspection completed needs nothing. Every vehicle comes with a complimentary wash and wax including carpet shampoo and steamed floor mats. We are an ALL IN DOOR AIR CONDITIONED state of the art facility located at 1136 E. Fletcher Avenue Tampa, FL 33612.